A school bag (also called rucksack, knapsack, packsack, pack, Haversack, or Bergen) is a cloth sack put on somebody's back. It usually has two straps that go over the shoulders. It is used to carry things in it, and it often has many compartments for you to put things in. People often use backpacks on camping trips, hikes, or any form of outdoor activity where people need to carry many things. Backpacks are also be used in the military by soldiers. 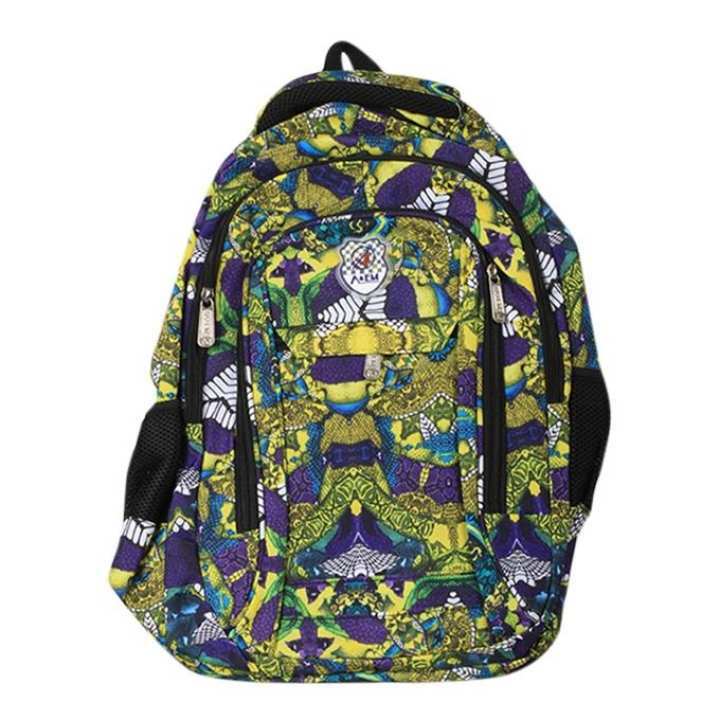 It can be also used in school, or in this case, it also called a bookbag or school bag. The seller, Mahin Enterprise, offers a wide selection of products from renowned brands in Bangladesh with a promise of fast, safe and easy online shopping experience through Daraz. The seller comes closer to the huge customers on this leading online shopping platform of all over Bangladesh and serving to the greater extent for achieving higher customer satisfaction. The brands working with Daraz are not only serving top class products but also are dedicated to acquiring brand loyalty.